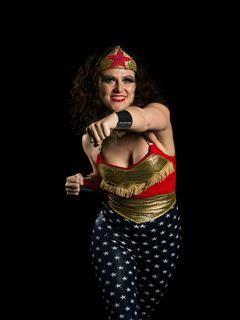 Merlin is a skilled circus performer, who can delight audiences with a range of routines and her jaw dropping performances! 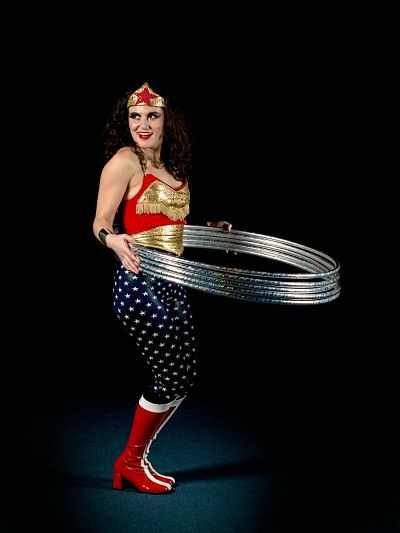 Introduced as ‘Dianna International Woman of Mystery’ she procedes to do ‘The Spin’ and nimbly twirls and hoops with 1 to 30 Hula Hoops. 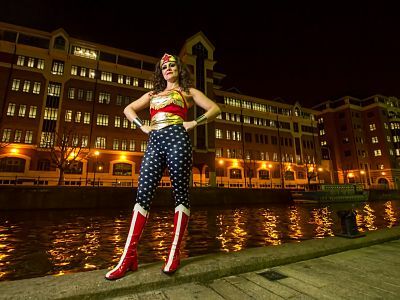 With a short comedy speech before performing to the Wonder Woman theme tune. Act length is 6.5 minutes. 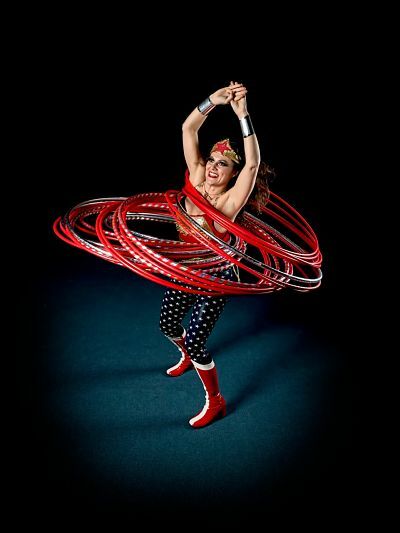 With frilly knickers and silver corset, this is a straight hoop routine with a cheeky grin, perfect for any circus or cabaret theme event. Act length is 5.5 minutes. Perfect for any suave occasions, this glam sailor girl will get you clapping! A high energy routine with an old school theme and a modern twist. All routines finale with a five hoop split and then with crowd clapping, 30 red hoops at once! Merlin can also include a new and exiting aerial counterweight lift while hula hooping in the air. Not to be missed! Merlin can also delight audiences on the street with a circle show, including audience participation and comedy 30 minute or perform a 3 x 30 minutes walkabout act. 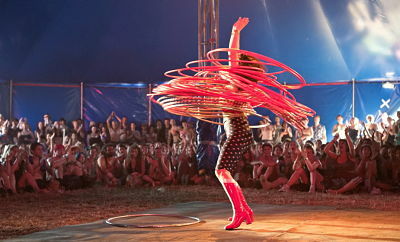 Merlin is a fun and exuberant hula hooper, never a dull moment.